We are finally getting some real rain. The dust has been washed away and everything looks clean. It's so wonderful to have fresh air to breathe, it smells so good. And more rain is supposed to arrive starting Tuesday night through the weekend, hopefully not too much. The sun came out on Sunday so I had a chance to get out to the garden to do some tidying and harvesting. It was a pretty good week of harvests especially considering it's the middle of November. 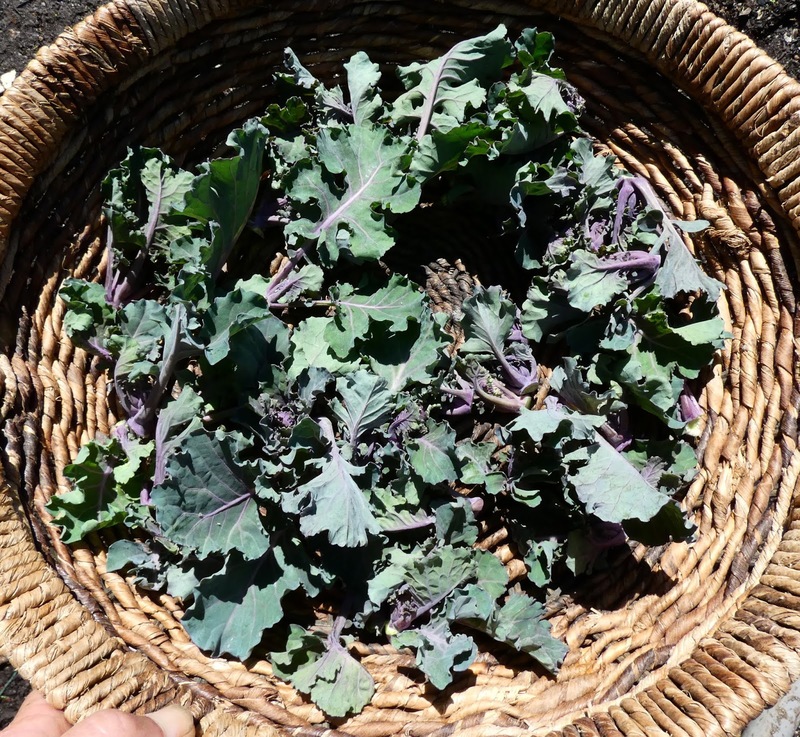 First up is a new veggie for the season, some kalettes. These are a cross between Brussels sprouts and kale, and produce mini heads of kale along a stalk, kinda of like frilly purple and green Brussels sprouts. I just harvested those yesterday and haven't gotten around to cooking them yet. Speedy arugula was ready for another cutting. I found one plant starting to bolt so I pulled that one but the rest seem to be resisting and with the change in weather to cooler and wet I hope they will keep from bolting a while longer. 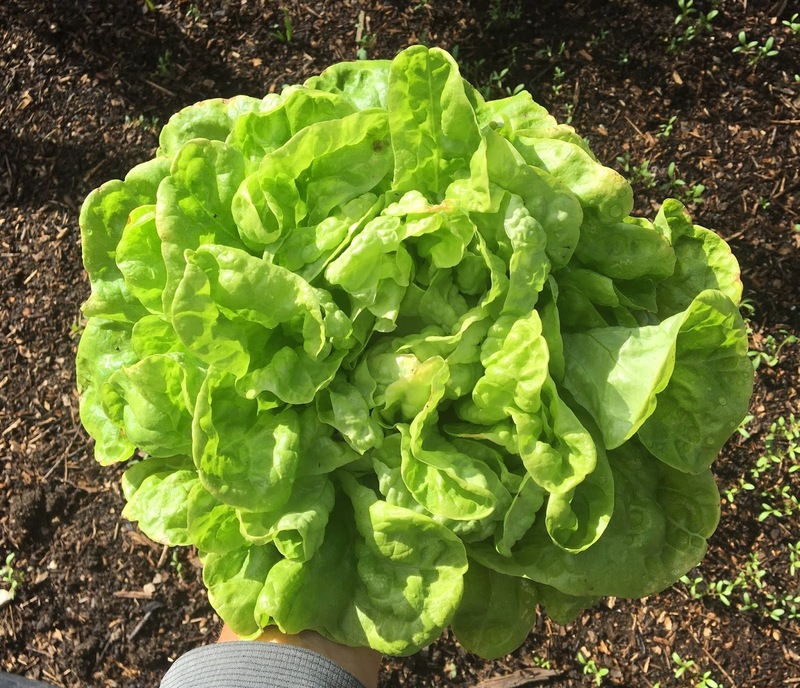 It's prime time for lettuce! I pulled a couple of Celeriac roots. They looked pretty gnarly before trimming. But they cleaned up nicely and you can see in the shot below that they got to be a good size. The largest was over a pound after trimming the stalks down even more. I took the largest one and cut it into cubes (after more trimming of course) and roasted it in a cast iron skillet with a cubed purple sweet potato (not from my garden) and made something of a hash with shredded turkey leg confit, onions, Nero di Toscano kale (also not from my garden) and bulgur wheat. That was really delicious and satisfying. I can't believe how much fennel I've harvested this year. 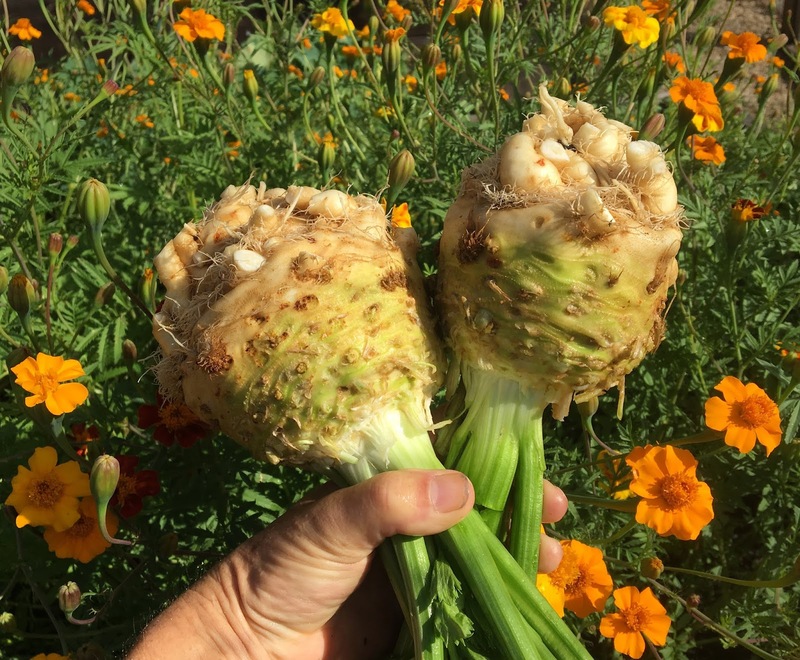 Those 2 additional bulbs brings the total fennel harvest for the year so far to over 18 pounds. It's a good thing it holds really well in the refrigerator. And more celery too for an annual total so far of 20 pounds. And there were actually a few other peppers that I didn't get around to photographing, including ripe Craig's Grande jalapeños, Urfa Biber, Florina, Gogosar, and Rosso Dolce da Appendere. That's the latest from my garden, head on over to Dave's blog Our Happy Acres to find links to more Harvest Monday posts. I know I'm not the only one who is thankful for the long awaited and highly anticipated first significant rain of the season. And it's not just people! This tarantula was hanging out on the garden fence. It seemed to be perfectly fine other than being a bit wet. The sun came out and it basked for a while and then worked its way down to the ground where it looked like it was grooming itself. 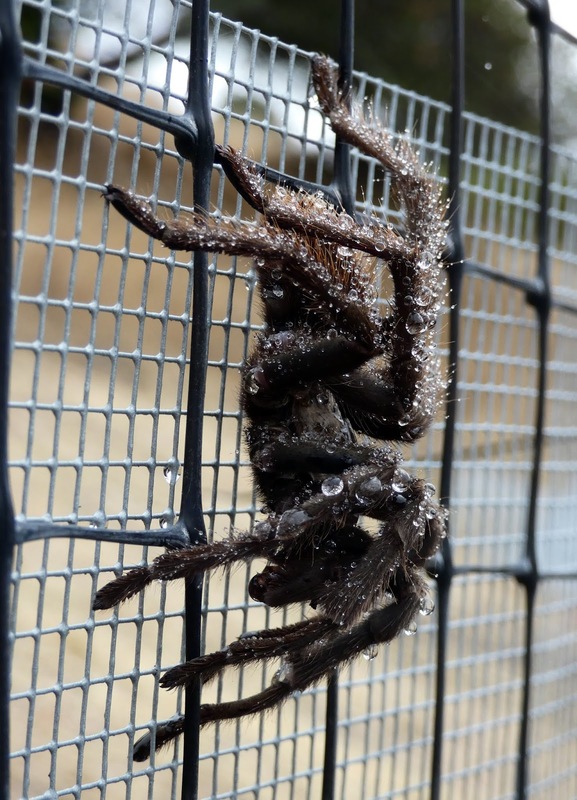 And now it's off doing whatever it is that tarantulas do. This was the first significant rainfall here since some time last spring, it's been so long I can't remember when. We had a few sprinkles locally in early October but that was just enough to wash the dust off of things and then it got hot and dry and dusty again. More rain is on the way next week. Perhaps our rainy season has finally started for real. Dear Weather Gods, please let it be a "normal" rainy season. Thank you. I started this post many days ago and now that it's a sort of rainy day, it looks like it should rain but doesn't, I've decided to stay inside and get it done. I haven't done a tour of the garden since September so it's time to get out there and take a look. (OK, that was about 10 days ago). First a couple of overviews from the hillside above the garden. Look at all that hardware cloth and agribon fabric, all in an effort to keep the critters from chowing down. And look at the whited out sky, that's smoke from the Camp fire 200 miles north and east of here. I opted to stay mostly indoors on many days the past couple of weeks because there has been enough smoke in the air to make it quite unpleasant and even unhealthy outside. The smoke in the shot above is much lighter than what it was earlier in the day, before it was thick enough that the hills were obscured. 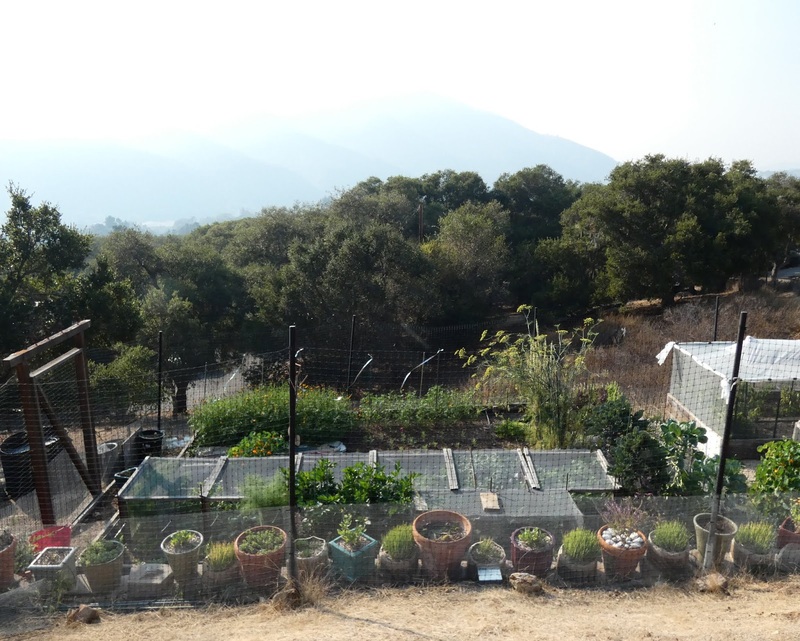 And if you are wondering why there's so many fires in California this year just look at the hillside above my garden in the next couple of shots. What these shots don't show are the dead and dying oak trees dotting the hillside. We've had drought conditions for six of the past seven years and it shows in the number of stressed, dying, and dead trees throughout the state. The hydrologic year starts October 1 here and so far it's not looking good here with only one bit of sprinkles in early October. More rain is coming through this week but most of the rain so far is falling further north of here. It's still quite parched here. I'm trying more ornamental plants in the garden this fall in the hope that the critters find them less tasty than veggies. 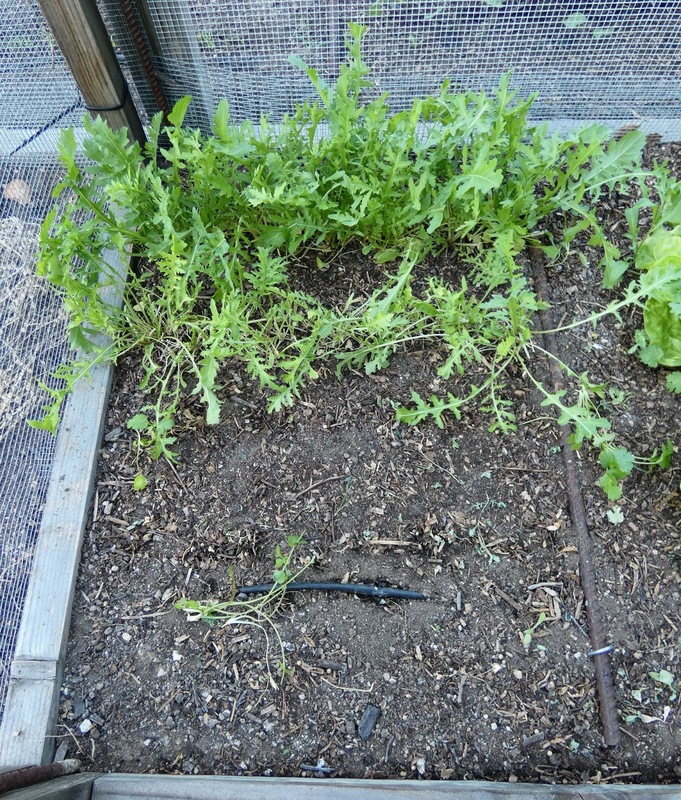 Alas, the birds love ornamental sweet pea vines so I have to cover them up. 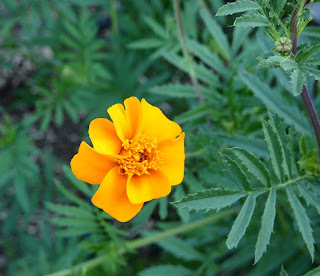 And they also seem to love the cosmos and marigolds planted in a different bed. 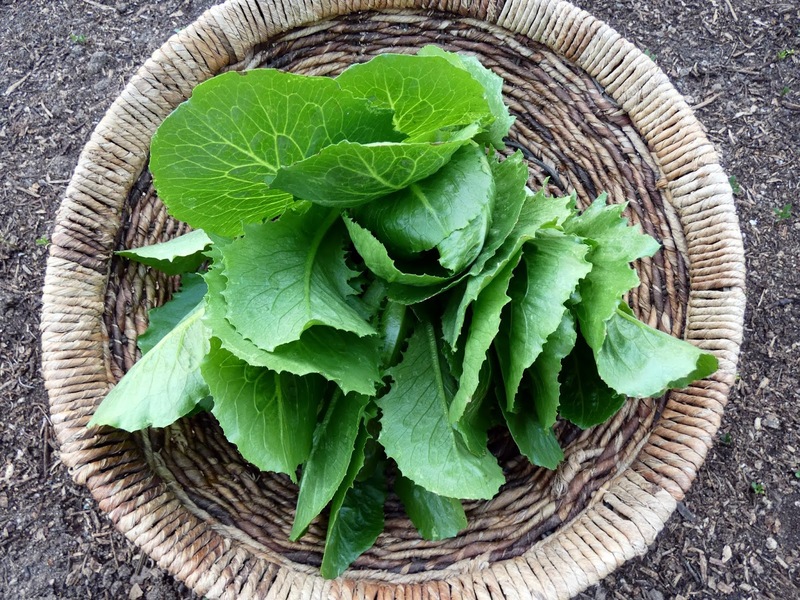 Here's my small patch of Amsterdam Prickly Seeded spinach shown not long after the first harvest. 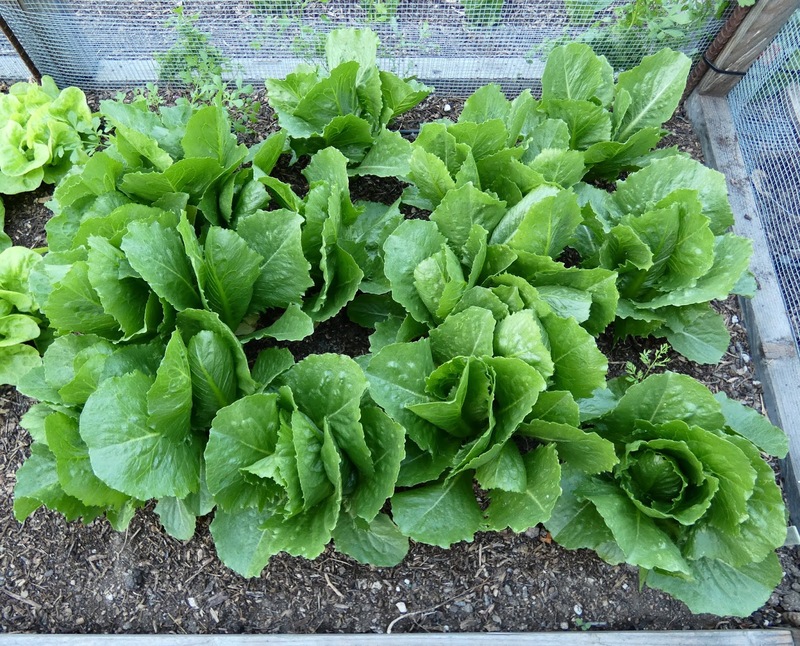 It doesn't look much different after 10 days because it grows so slowly in the short days and cold nights of late fall. That's good news for the cilantro though because it doesn't bolt in the blink of an eye. The winter radishes have actually filled in quite a bit since I took this photo but are still nowhere near large enough to harvest some roots. I do need to thin them out which will net me some fresh greens. 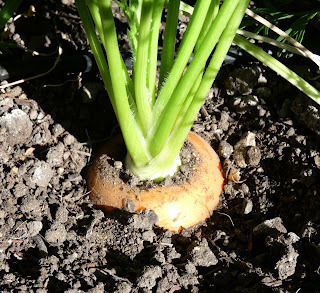 And the fall sown carrots are still quite small also. The Castandel beans shown here are now warming up the compost bin. This spot has some wispy looking saffron crocus foliage in the foreground and futher on there's some newly planted Yellow Potato onions that are just barely starting to show some shoots. 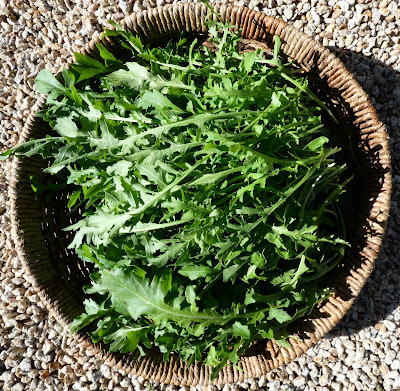 This cage is home to some Speedy arugula. It's looking a bit wispy where the former neighboring Rishad cress had gotten big enough to overshadow it. It's bouncing back nicely now. 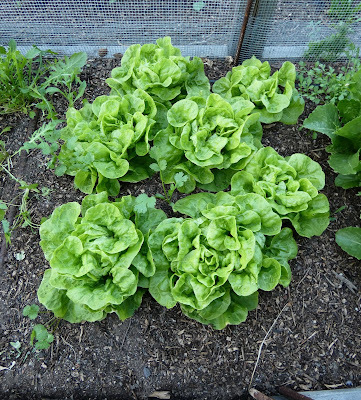 I'm really happy that I got around to sowing some lettuce this fall. That's Three Heart butterhead and it's about ready for harvesting. I had better luck getting Queen of Crunch to germinate so I planted extra to harvest as babies. Some of the plants on the left have already hit the salad bowl. In the next bed are some Brussels sprouts and Kalettes. 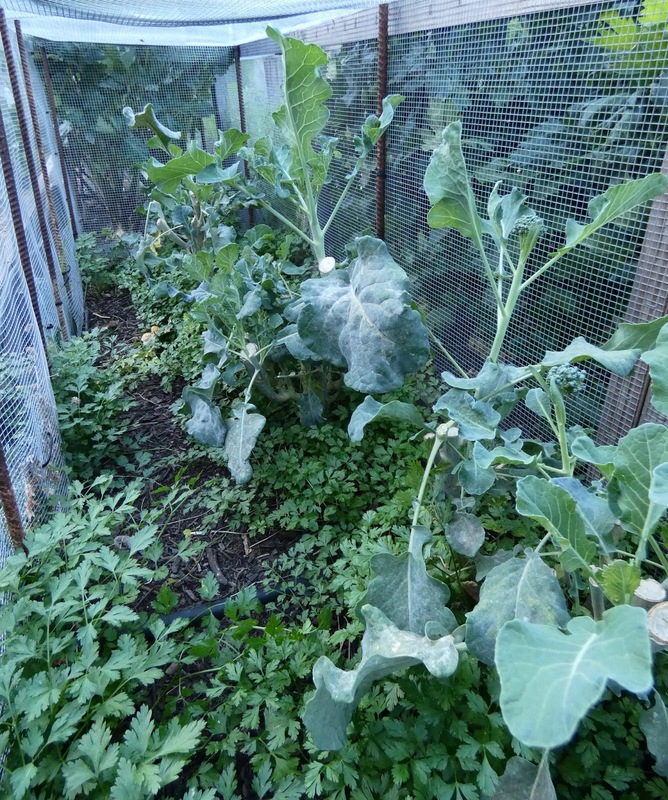 These plants were completely caged in before and as a result they acquired a bad infestation of aphids. It was bad enough on the center plant that the top was ruined and the plant became stunted. I don't think it will produce much of anything. Sprouts are forming on the remaining 2 plants but they are small and I am not counting on them to produce anything great either. 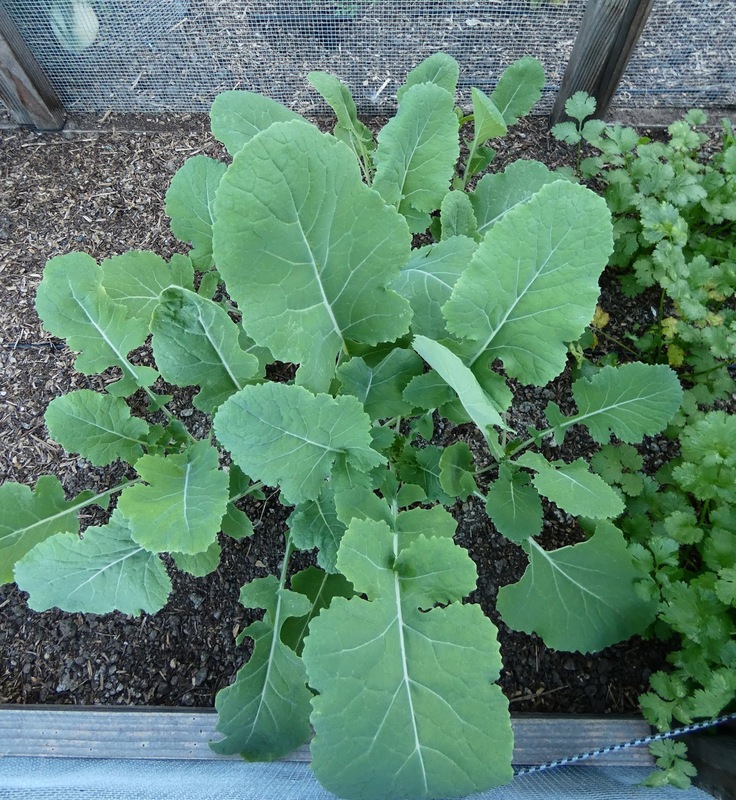 One of the Kalettes plants is developing some decent looking sprouts. There's three varieties of Kalettes, each with a different maturity date so the harvest in theory should be extended. And it looks like that might be the case, one plant has sprouts that should be ready to harvest soon, another has some just developing, and the third barely has some buds. 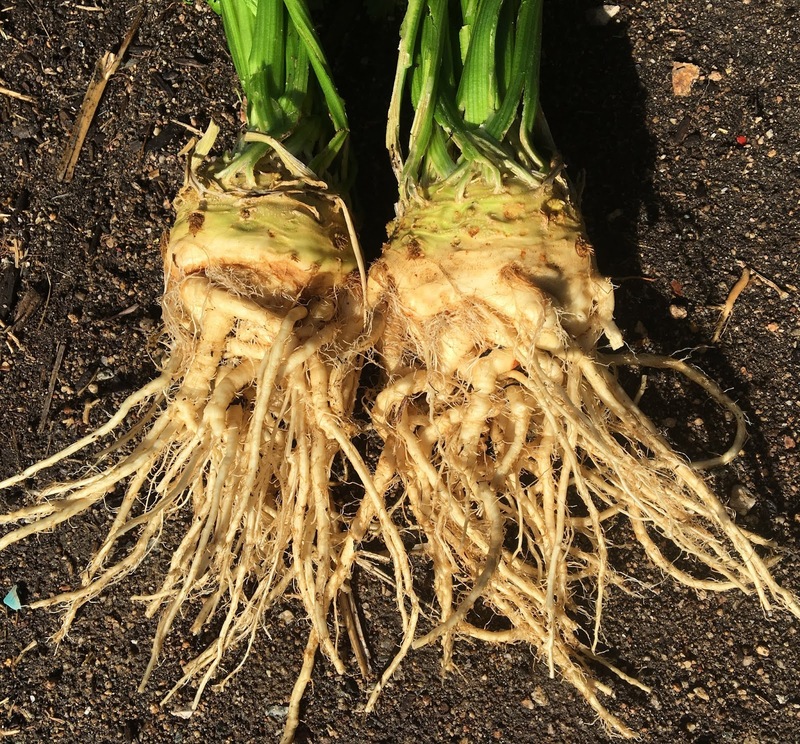 Parsnips are coming along nicely but aren't large enough to harvest yet. I usually harvest the bulk of the parsnips in January through March. The celeriac is looking great this year. 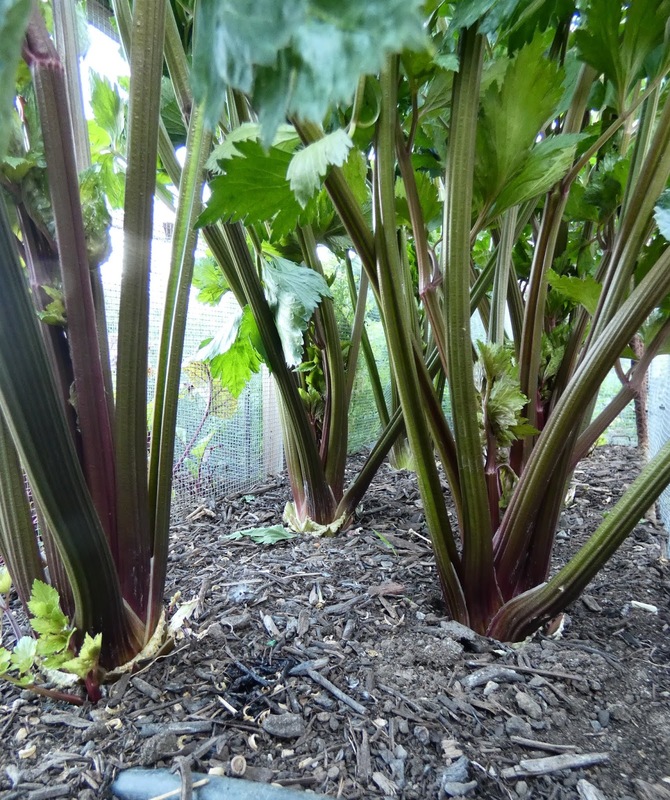 It's large enough to harvest now, and I have harvested a few already, but it will also keep quite well in the garden for a while. 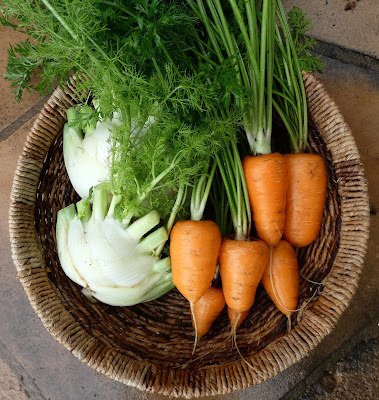 The summer sown carrots are looking good. I've been thinning this patch out on occasion and gotten some nice baby carrots. They are getting to be rather larger now but I think that they will also hold quite well in the garden so I'll just harvest them as I want them. Looking over the top of the cage you can see the tops of the celery plants, one of the few veggies that can be grown without critter protection. 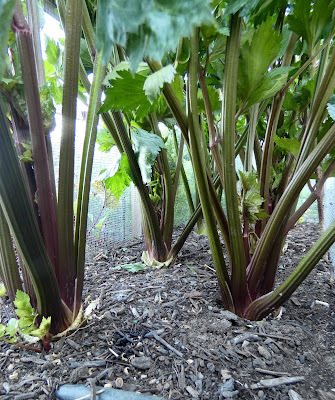 Inside the cage are some really runty summer sown beets. They have just not been doing well. First they had their foliage ravaged by powdery mildew and then I noticed that much of the tender new growth got munched by something, probably sowbugs or earwigs. They just did not thrive and I've just been watching and wondering if they will ever size up. I should probably just pull them and use the space for something else. 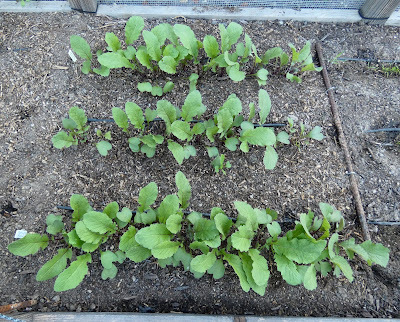 The neighboring more recently sown rutabagas have taken off. Cilantro, some of which is starting to bolt but much more slowly than in the summer and early fall. More fennel. 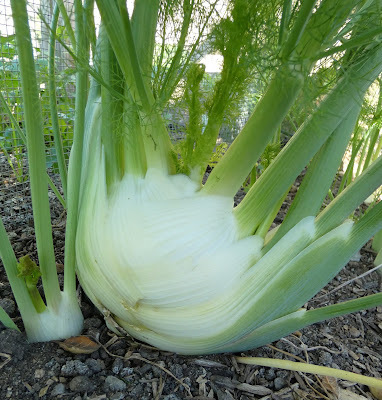 I've had more fennel this year than any time in the past. 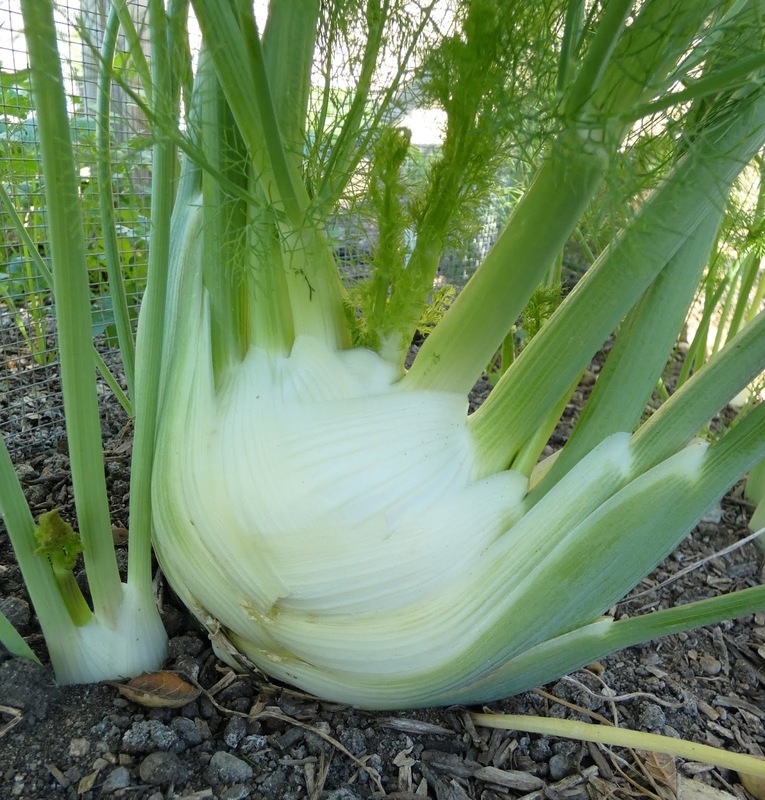 Orion fennel seems to be particularly good at producing 2 and more rounds of bulbs from one root. I'll cut that big one and that new one on the left will probably swell up to make another bulb. I love it! 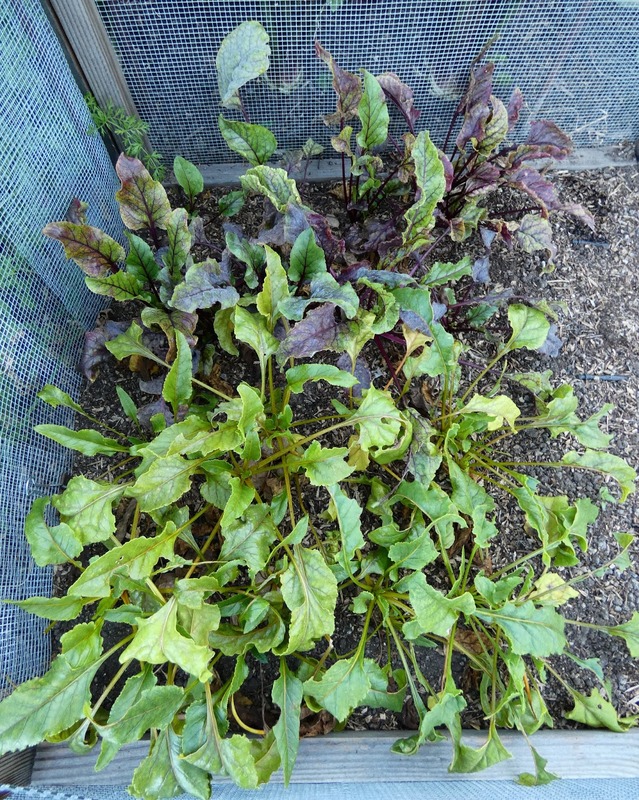 I put in a small patch of chard in one corner of the bed. Do you notice that it's not protected? 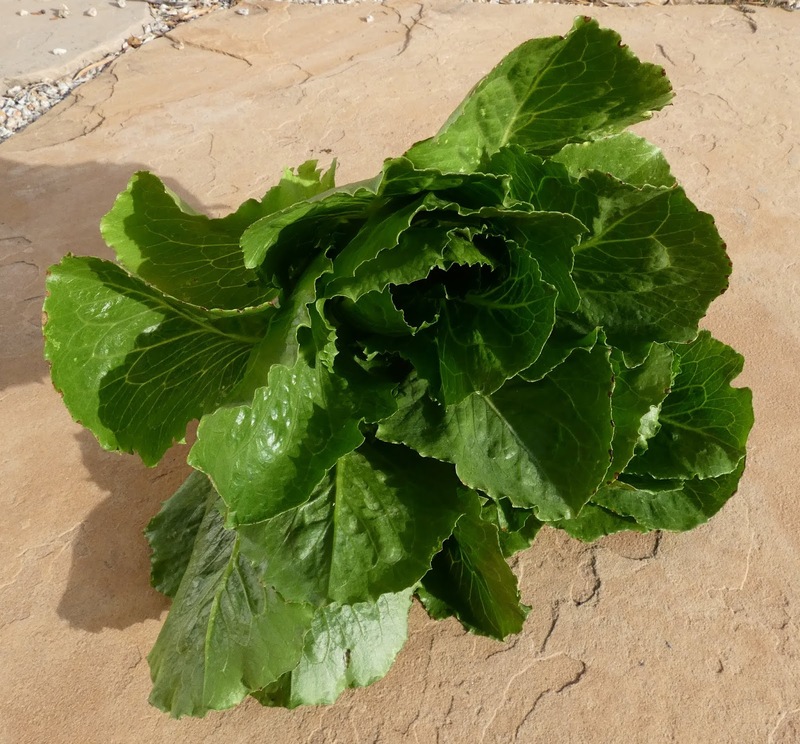 One of the few veggies that's not on the rodent menu. But, they did get a bad infestation of aphids that were tended by ants. The plants were so yucky that I almost took them out but gave them a reprieve and instead just cut them down to nubs. They are really slow to come back. 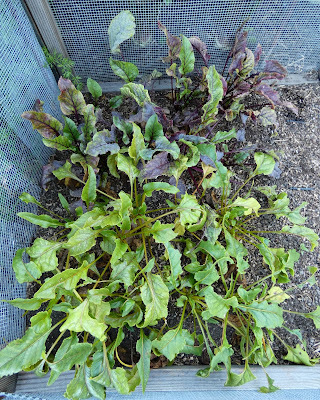 It won't be a great season for chard. 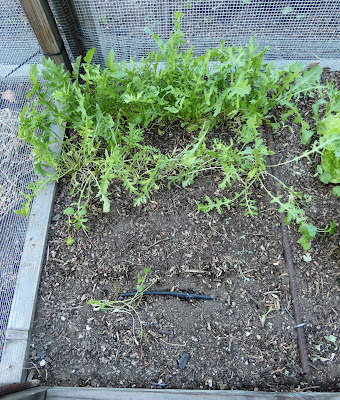 Beyond the chard are a 2 remaining summer sown Orion fennel plants that I have since harvested. I cut the bulbs off at soil level in hope of having the root resprout like the spring sown plants have done. The celery is very happy this year too. 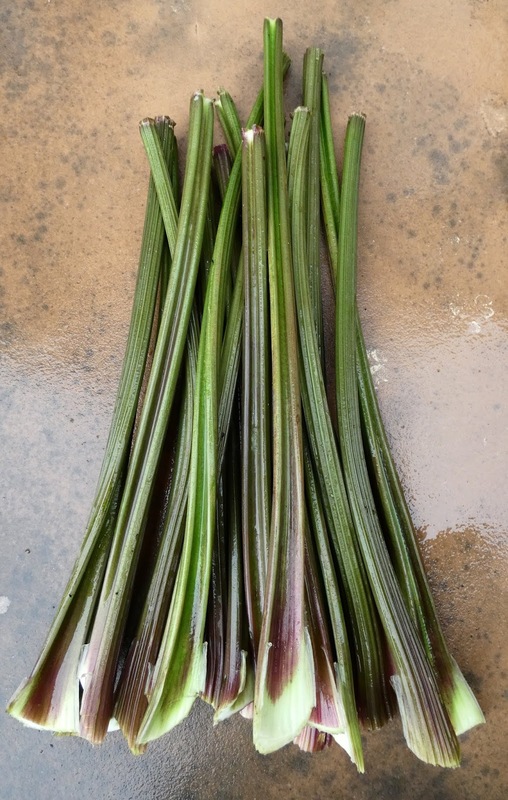 I've got 6 plants and I'm able to cut over a pound of stalks every week. It's a good thing we love celery. Poor miserable stunted rodent ravaged broccoli. I should just pull it out but just haven't felt like dealing with it. In the meantime it does manage to pop out a few shoots now and then. Not enough to make a decent side dish but I blanch them and include them in the big fat veggie packed frittatas that I make for Dave that he takes for his lunch during the week. 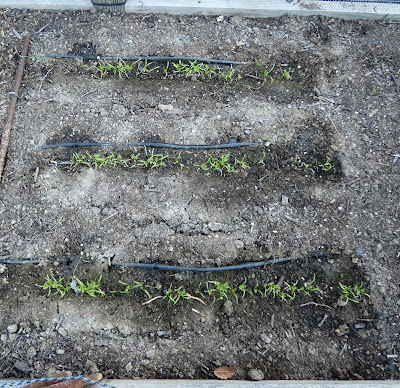 This was the bed where I grew potatoes this year and where I discovered a pretty bad infestation of nematodes. 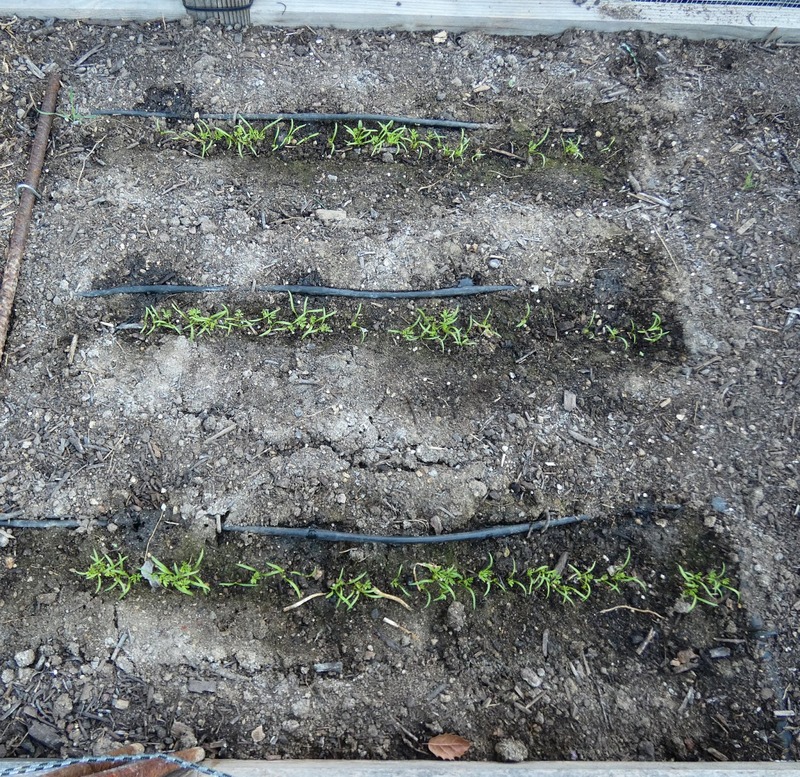 So I planted Nema-Gone marigolds in the areas where the potatoes had grown. Fortunately I started them before the hungry birds arrived so they had enough time to get to be large enough to not be stunted by the birds munching on the foliage. I can't say the same for the cosmos that are hiding behind the marigolds on the other side of the bed. Further down the bed are a few Orion fennel plants from over a year ago that threw up masses of flower stalks this year. 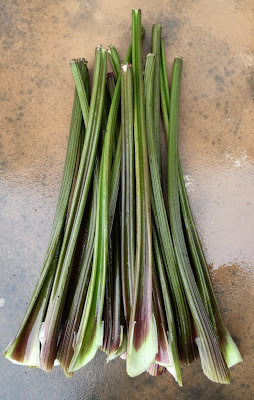 The seeds turned out to be very flavorful so I've been cutting the mature green seed heads since this summer and now have a large stash of dried seeds. I'm also making a batch of Finocchietto, a sweet digestif made from the flowering umbels. 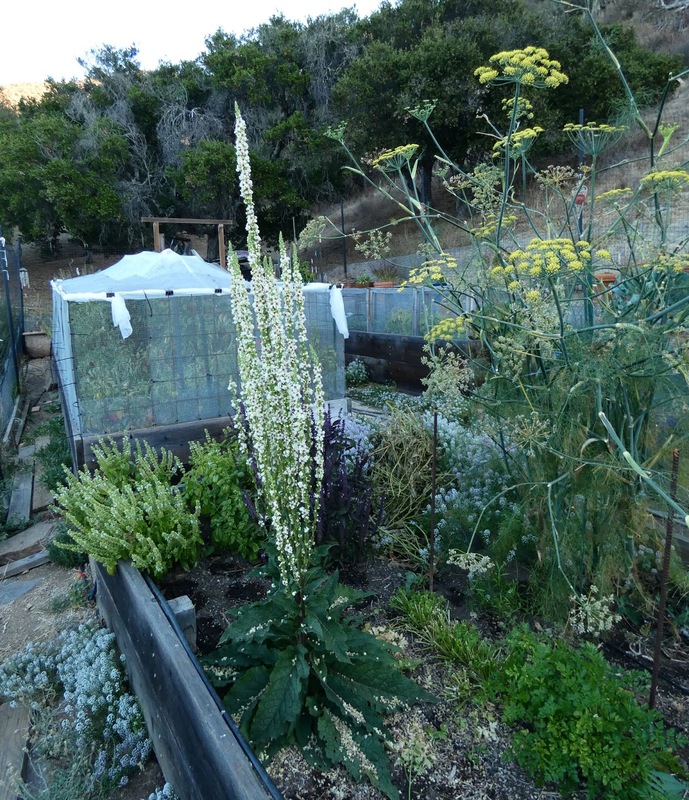 There's also a big happy volunteer Verbascum chaixii plant that I've allowed to grow since I had nothing better to do with the space. The bees absolutely love verbascum and it's a delight to watch them working over the blossoms as they collect the bright orange colored pollen. 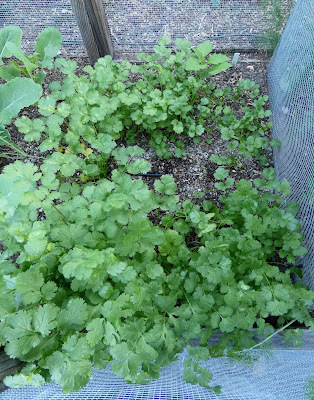 And there's a patch of parsley between the fennel and verbascum that I've been harvesting from regularly. The bees also love the fennel umbels even after the flowers have fallen away and the seeds start to develop. In the summer and early fall the fennel blossoms were abuzz with yellow jacket and tarantula hawk wasps but now that the wasps have become inactive the bees have taken over. It's interesting how the bees avoid the blossoms that the wasps prefer but as soon as the wasps are gone they return. And finally in the corner is the last of the basil. If the weather stays cool and wet then the basil will probably succumb to some sort of fungal infection unless frost strikes first. The next bed over is Fort Pepper. The plants in Fort Pepper are looking tired and bedraggled from a powdery mildew infection but I'm still harvesting peppers. 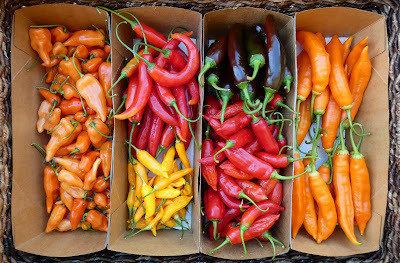 These shots were from just before I went through and picked most of the last of the sweet peppers. The tall plants in the back corner are almost all baccatum peppers many of which are carrying ripe and ripening peppers even now. 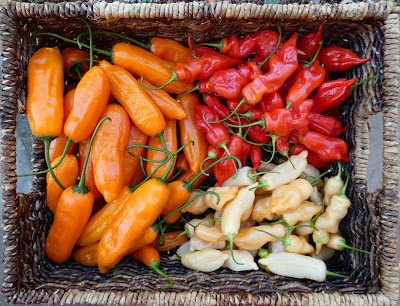 The baccatum plants are much more tolerant of cold weather than most annuum plants and many of them are late to ripen so the cold hardiness allows me to harvest ripe peppers through and past the end of the year for some varieties. 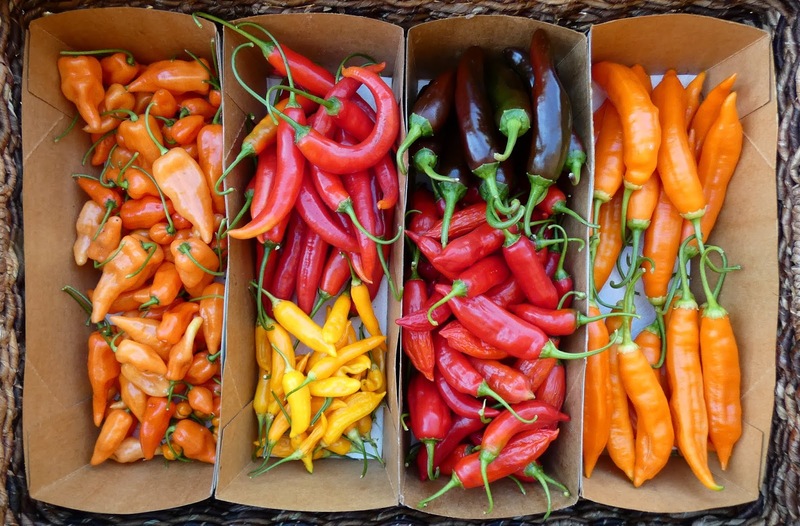 And some of them will make it through the winter to produce peppers again the next year. Here's another shot after I cleared out some of the plants that had no more peppers. That's the latest in my garden as it starts to go into winter mode. That means that I won't be planting much now but there are things that will keep well in the garden into winter and perhaps early spring. There are a few things that I could plant now that I have in the past including onions, garlic, and fava beans. But I won't be growing any of those this time around. Garlic has been ruined by rust infections too many times now for me to take the risk again. Downy mildew did in the onion crop a couple of years ago and the spores take years to die out so I won't take that chance again. Although if I felt more motivated I could try a downy mildew resistant variety. And I harvested almost zero favas this spring because the rodents ate nearly all of the and I don't feel like going through that experience again. So I'll sign off now as I finally hear some very welcome rain falling outside. Hallelujah! Happy Thanksgiving to all my US readers! 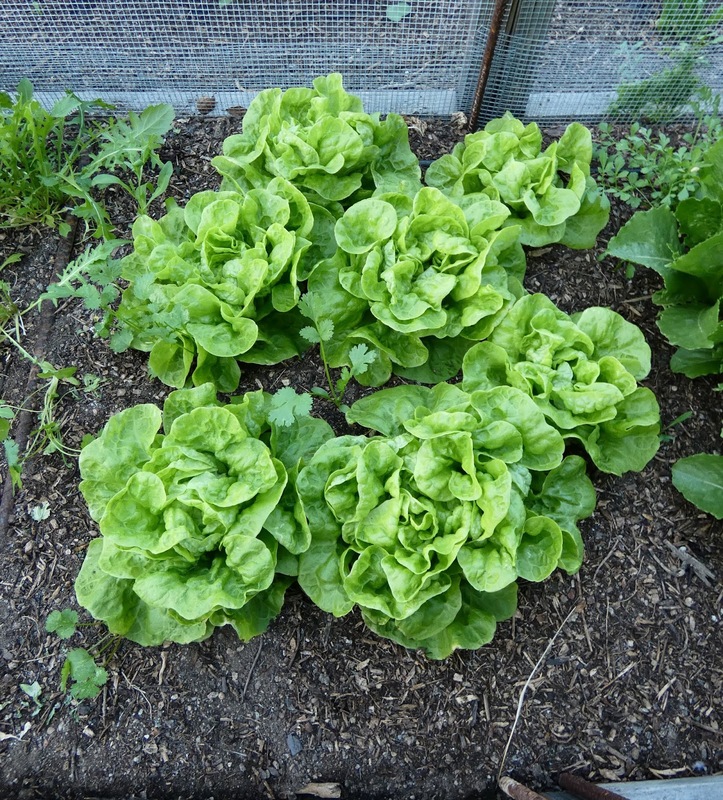 It's a short Harvest post this week, but there's a fresh new harvest that I've not had in a while, some baby lettuces. 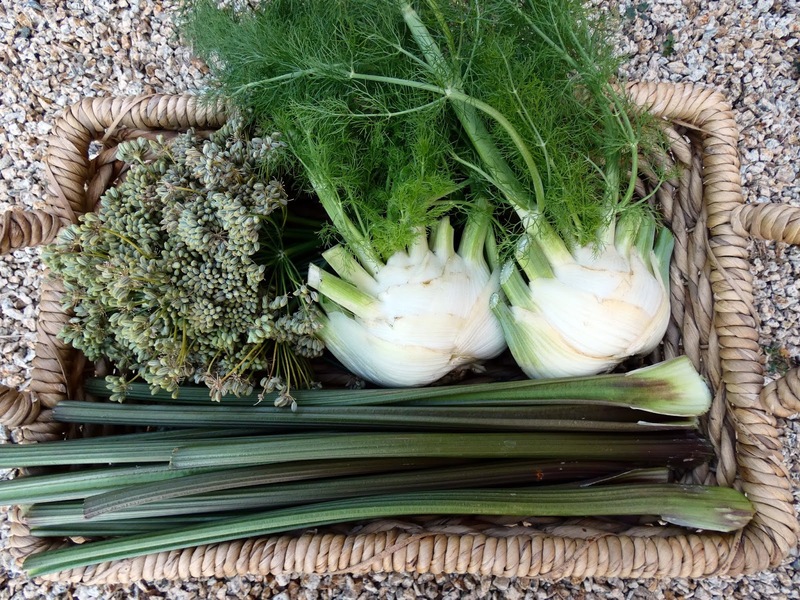 And a couple of regulars, fennel and celery, plus green fennel seeds which I've been harvesting for months now but not photographing. My Dave so much enjoyed a celery, date, parmesan, and almond salad that I served him one night that he insisted that we have it again but with some improvements. He requested the addition of fresh apple and pomegranate arils and yes it was delicious. Other than that I harvested a tiny bit of broccoli shoots and a couple of handfuls of hot peppers. 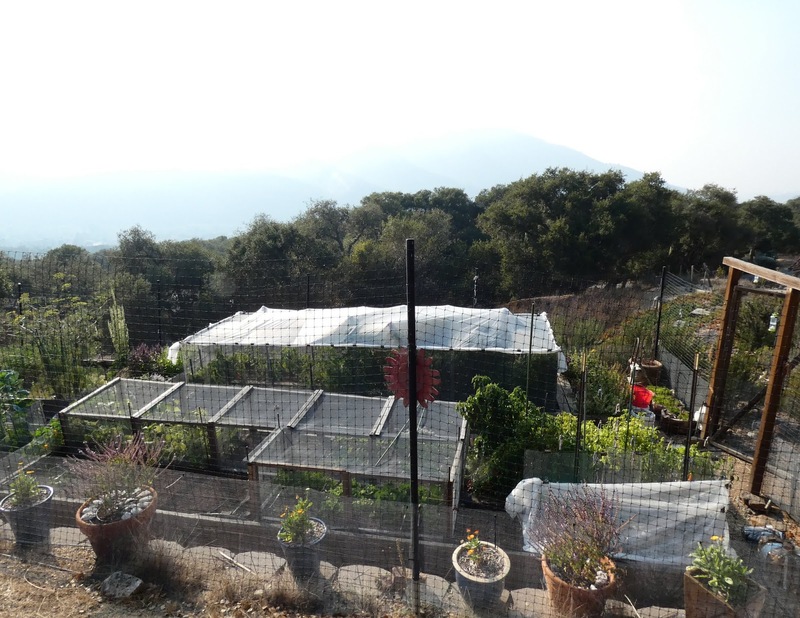 I've been avoiding working in the garden most days because there's a lot of smoke in the air from the fires burning in the state. Even though I'm at least 200 miles from the Camp Fire the weather conditions are such that the smoke is lingering up and down the state and has gotten to unhealthy levels even here. I'm fortunate though because closer to the fire the smoke is so bad that the air has ranked as the most polluted anywhere in the world and is truly toxic to breathe. It is shocking how incredibly devastating that fire is and frightening too. I look around at the parched landscape that I'm living in and know that it could happen here. My heart goes out to the people who have lost their homes and loved ones and their community. I can't find the words to describe how deeply I feel for them. Everyone here is anticipating the rain that is on the way this week, hopefully enough to douse the flames but not so much as to cause other problems. The end of the fire season just can't come soon enough, this one has been a horror. Head on over to Dave's blog Our Happy Acres to find links to more Harvest Monday posts.